Our Solomon Leather Cuirass armor is crafted from top quality 13/15 oz. leather. This cuirass is a little different from the others that we make, in that it is more of an upper chest harness. It does not fully cover the stomach and we have designed it this way because it is to be worn over a chainmail shirt or vest. Of course you do not have to wear it over chainmail, if you are going for a Gladiator or Spartan look then revealing your abs would be perfectly suitable! 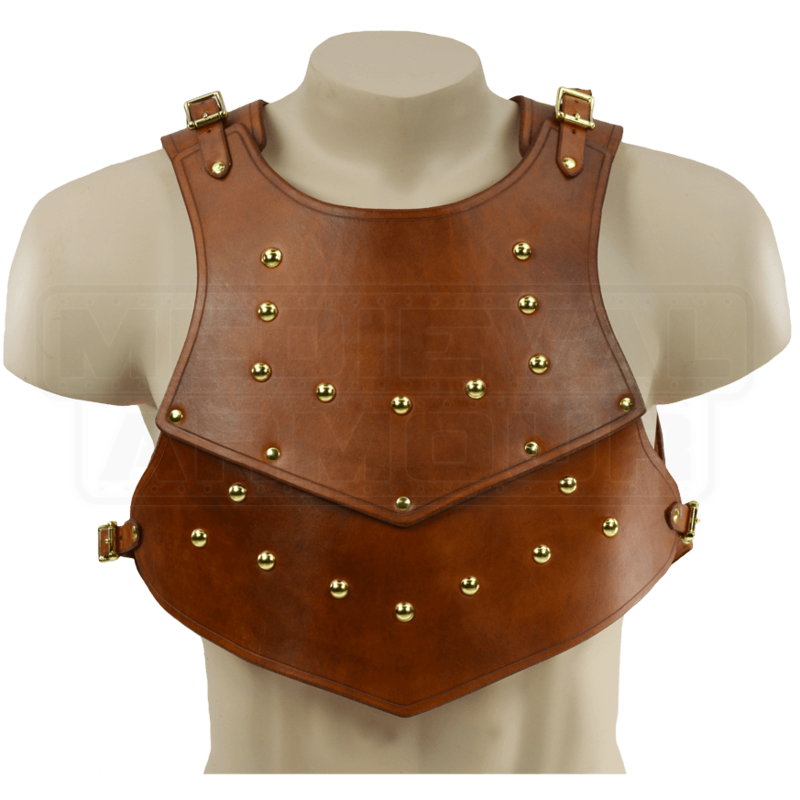 Our Solomon Leather Cuirass includes a breastplate and a backplate with each side decorated with dome studs. This leather armour is perfect to use for most re-enactments including those done in the SCA and for LARP. There are straps at the waist and at the shoulders to secure the armour. It is currently made in a Standard Size.